Brief description: Students will discover what is the importance of bees for human life as well as for the whole ecosystem and will investigate how their communities and the communities that live in other islands are behaving towards bees. 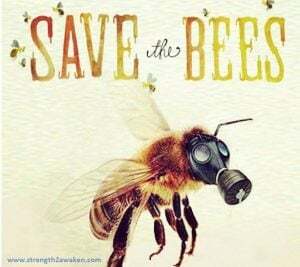 Bees are a major contemporary science concern, as they are necessary for the pollination and consequent reproduction of most of the plants that we eat (and that the animals that we eat use to feed as well) and their numbers have been decreasing at a fast rate. Considering this, students from the different islands will learn about the problem and collaboratively figure out solutions to improve community awareness and conservation strategies in the islands. (click on the link, read the description, scroll down and click on “view accelerator” to view the full activity). Big Ideas of Science: Evolution; Earth; Energy (to learn more about the big ideas of science click here. Psychology: People’s habits and relation with the environment, willingness to change, etc. Economy: different agricultural practices and their impact on economy, impact of bee extinction on economy, etc.